As many of us notice church vestment needs for our own parishes, or ecclesiastical sewing projects for a loved one who may be graduating from seminary, the first thought is to run to the church office or sacristy and pull out a catalog from a vestment house. Flipping through the pages, a few designs or a certain style might catch the eye or tweak the interest. It may be a tasteful combination of colors and patterns, an interesting embroidery design or symbol, or an unusual placement of trim. It might be an “Ah ha!” moment or an “Ah, that’s it!” reaction that forces one to peruse the page ever more closely, seeking for what we know is coming: sticker shock! It always happens. The momentary joy quickly fizzles, to be replaced with thoughts of despair. But the mind is a creative resource. As quickly as we go from souring heights to the depths of futility, the mind starts to seek alternatives. Here we have two members of the altar guild discussing what is needed. Can you guess the missing words in the conversation as is might play out in your church? These thoughts come one after another in rapid fire succession, until somewhere along the line there is a pause………..
And so the story comes to an end. No pattern equals no new vestment. Have you ever been in this situation? I have (even though I could easily make my own patterns, but for lack of time or resources, never did). If a pattern is not available, even with a willing and capable seamstress, new vestments can not be made for the benefit of those within our church, or for use to the Glory of God in the worship service. Over the years, I have purchased vestment patterns, several of which were expensive. Some have been good. Others have been a disappointment. The reason for purchasing various church vestment patterns is to save time and to have a pattern that is ready to use with no fussing needed. An added benefit can be correct sizing. I expect to be able to cut the pieces, lay the pattern out on the fabric and be able to cut out the garment. I do not want to be guessing at design lines, or worse yet, have only part of the pattern available and have to create the rest of the pattern. If the pattern is not complete, why should it be offered for sale? And worse yet, why did said patterns cost so much? I like commercial patterns that contain multiple sizes in one pattern. These have been around for years. To use these, we either lay the pattern out and cut around to the lines on the underside, or trace the size needed on pattern tracing Pellon, leaving the original as a “master pattern.” These one can live with. So knowing what I like, what works, and what can save time when making church vestments all helps when creating a new vestment pattern. The first rule: make the pattern so that if I were purchasing it, the pattern could be opened, reviewed, and after understanding the instructions and layout, the pattern is ready to use. So, here is where you, the readers, can help me to help you with future church vestment projects. What have you found works with church vestment patterns? Which patterns have you used? What works for you, and what does not work? What vestments would you like to make if a pattern were available? Please chime in. 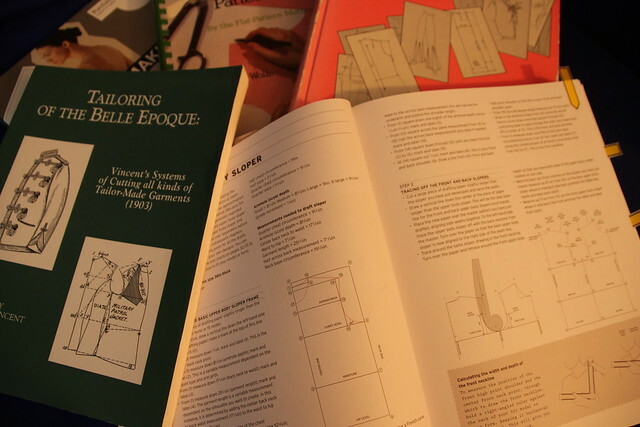 I’d love to know what is needed for your Ecclesiastical Sewing Projects. Dearmer, P. (1920). The Ornaments of the Ministers. London: A. R. Mowbray. Dean, B. (1958). Ecclesiastical Embroidery. London. B.T. Batsford LTD.